Visitors have accessed this post 185 times. 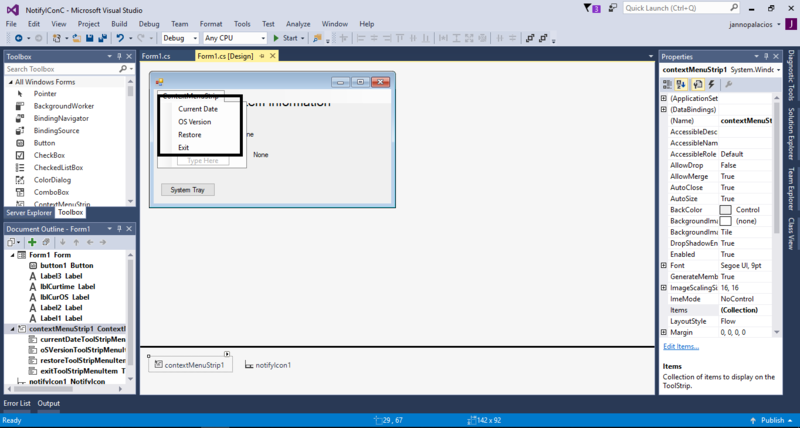 In this tutorial, I will teach you how to create a notify icon in c#. 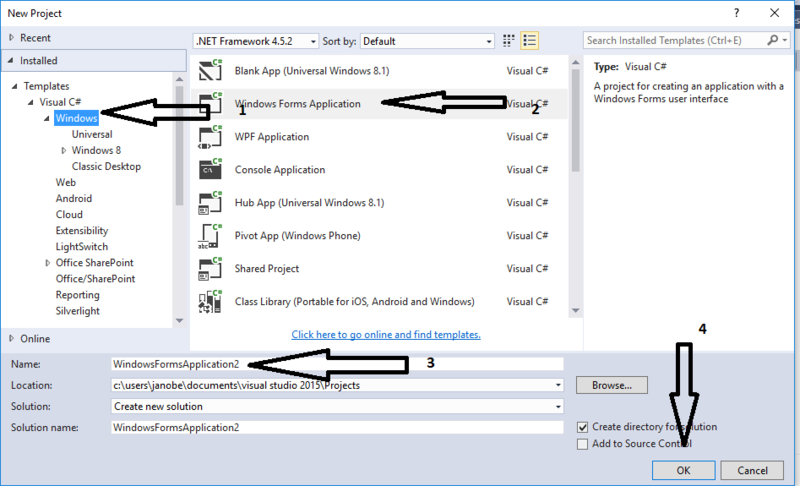 This method has the ability to hide the form and it will be displayed in the system tray. It also gets the current date and OS version of your computer. 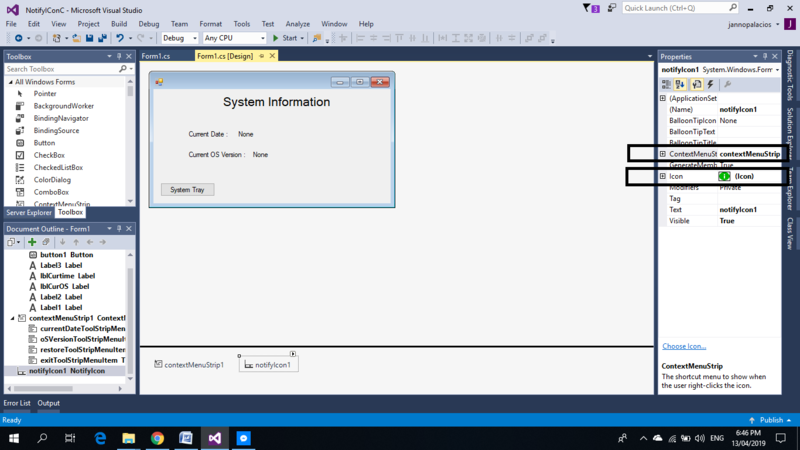 Open Microsoft Visual Studio 2015 and create a new windows form application for c#. Do the form just like shown below. Click the contextMenuStrip and add the following item. Click the notifyIcon and go to the properties. In the properties, select the contextMenuStrip and add an icon of it. 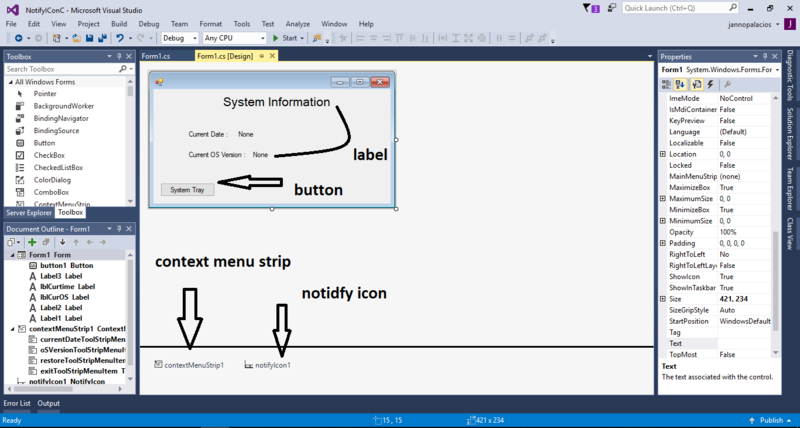 Note: You cannot view the notifyIcon in the system tray without adding an icon of it. Add the following codes for displaying the current date and OS version in the first load of the form. Do the following codes to add the notifyIcon in the system tray. Write the following codes for showing the current date when the “Current Date” is clicked. Do the following codes for showing the OS Version when the “OS Version” is clicked. Write the following codes for restoring the form. This code is for exit. You can download the complete source code and run it on your computer. janobe has submitted 231 source code / articles.